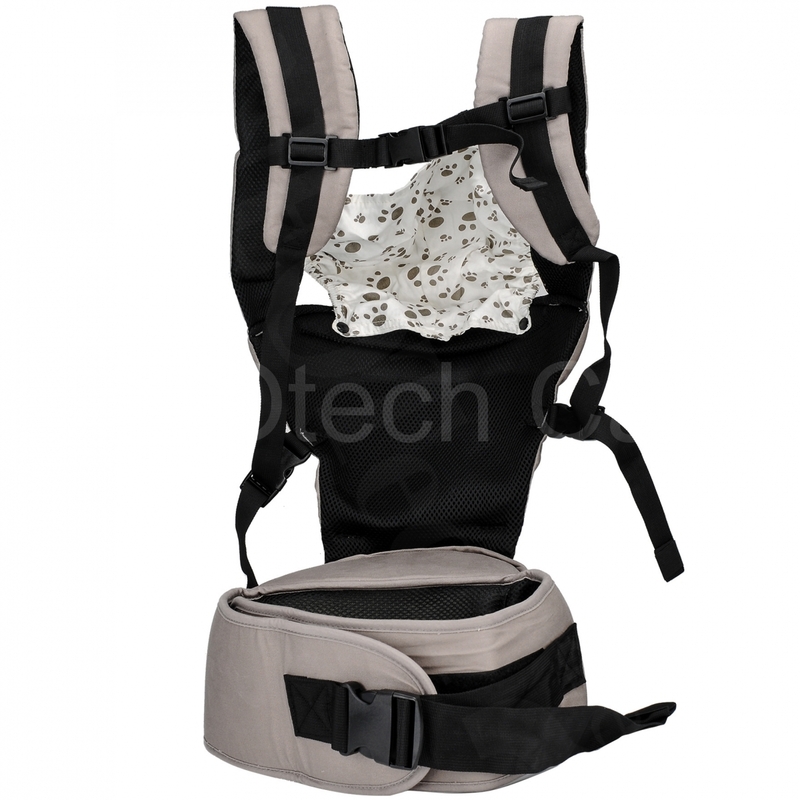 This is a 2-in-1 baby carrier: You can wear 1) only the hip seat or 2) zip the baby wrapper to go hands free and provide back support for your baby! You can remove the headrest or put it back easily. 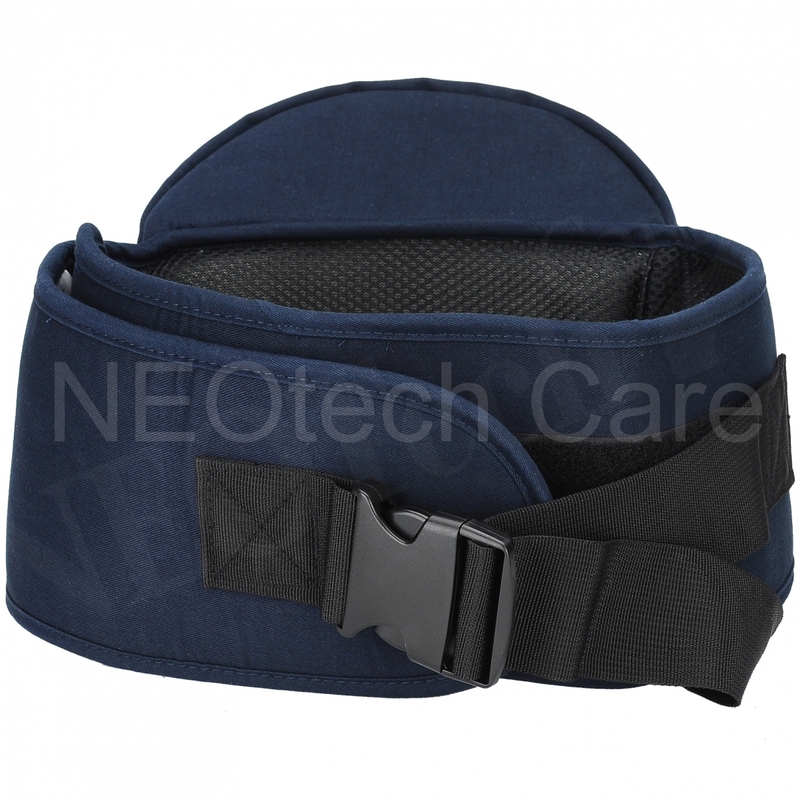 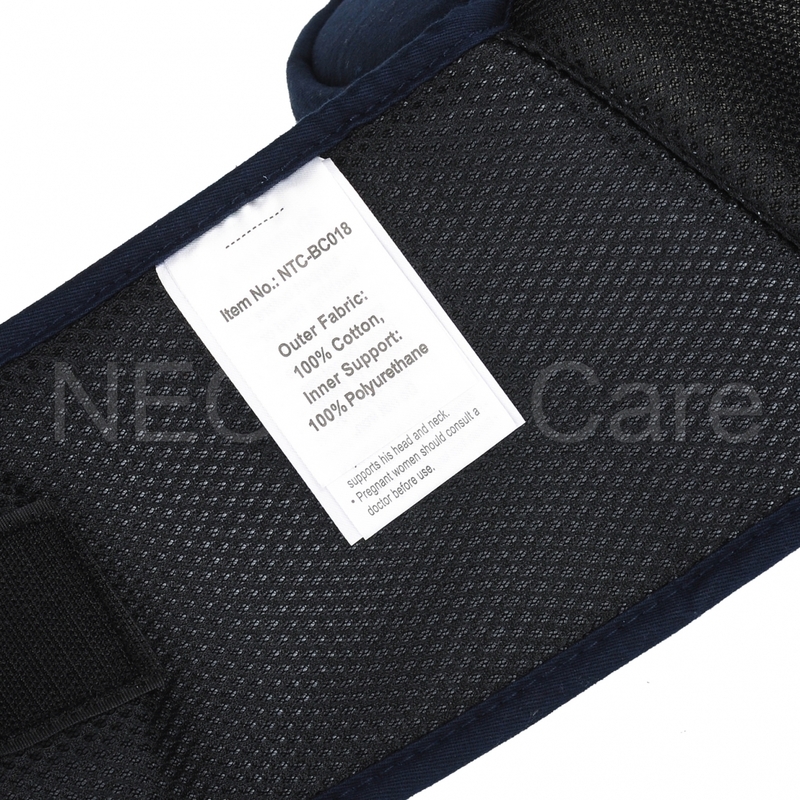 It is highly adjustable and made of strong resistant materials for more durability. 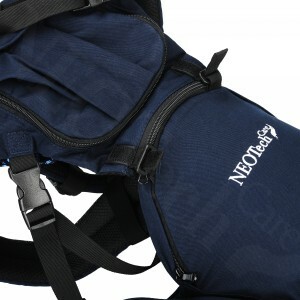 It has a front pocket and the hip seat inner support is removable for easy washing of the fabric. 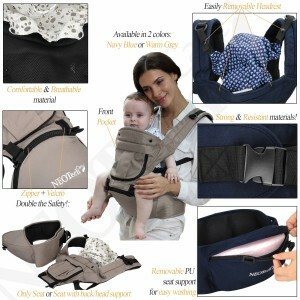 The outer fabric is made of 100% cotton and inner lining around the baby's back is made of highly breathable mesh fabric. The other side of baby is kept against your body. This closeness is actually good for emotional development in the baby and studies have shown babies that are carried and held close often are less prone to crying fits. 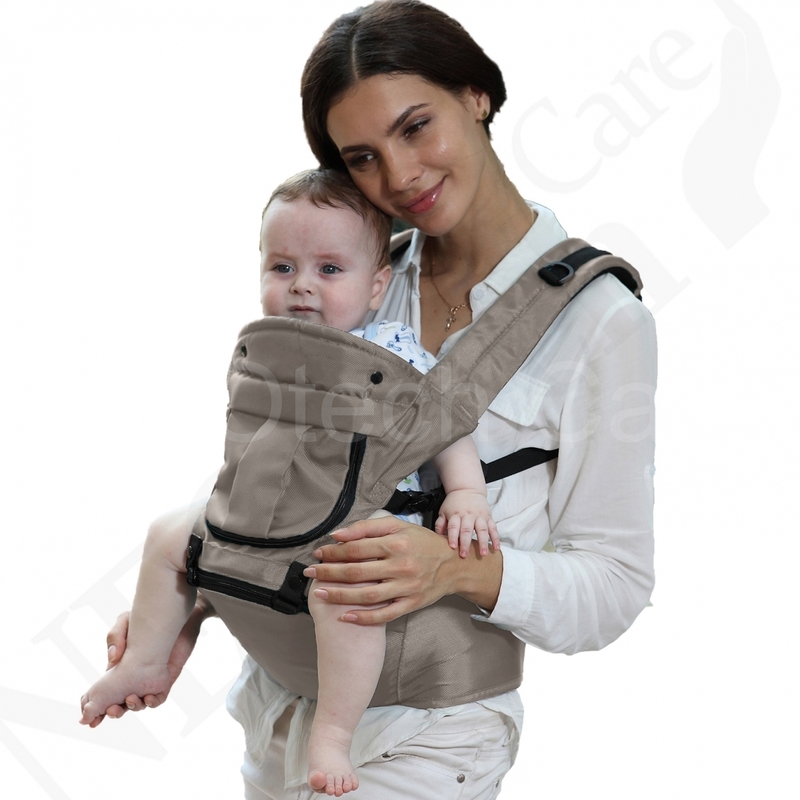 Anthropologists and psychologists have noted that when a child is constantly in the arms of a caregiver, it helps build communication between the two. 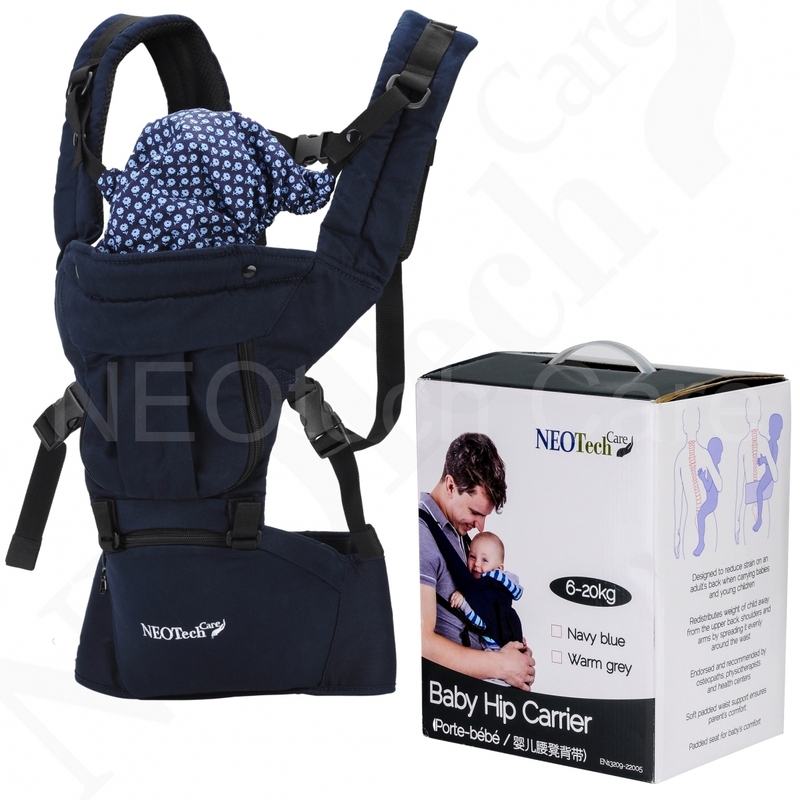 Motion from carrying your baby also helps him/her develop motor skills. Carrying your baby also allows you freedom to get things done with hands free parenting!